When someone dies somebody has to deal with their estate (the money, property and possessions left by collecting in all the money, paying any debts and distributing the estate to those entitled. The Probate Registry issues the document which is called A GRANT OF REPRESENTATION. 1, Probate issued to one or more of the executors named in the will. 3, Letters of administration issued when the deceased has not made a will or it is not valid. Why is a grant neccessary? Organisations holding money in the deceased’s name need to know to whom the money is to be paid. The distribution of the estate is the responsibility of the person named on the deed. A grant is sometimes not needed if the deceased’s money will be released without the holder seeing a grant, when the amount held is small and there are no complications. In most circumstances, it is advisable for you to consult a solicitor both to relieve you of many worries and to take control of wills, problems of intestacy, outstanding debts, grants and letters of administration. A solicitor could save you a great deal of unnecessary trouble and eventually save you money. 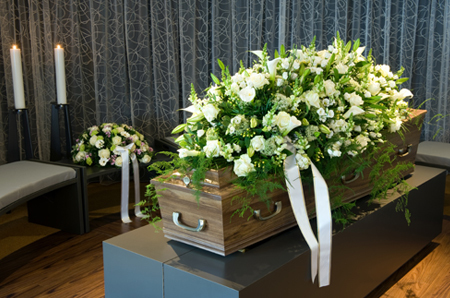 If it is known that a will was made, it is important that the contents be ascertained as soon as possible after death as it may contain instructions regarding the funeral arrangements. A will may be among personal papers or with a bank or solicitor for safe keeping. If a solicitor has been consulted by the deceased in the recent past it is important that you contact them without delay. So much help you gave me. I must say THANK YOU. Because of you I was able to fulfil my promise to George.